Digging myself out of a million boxes to share some recent finds with you guys. 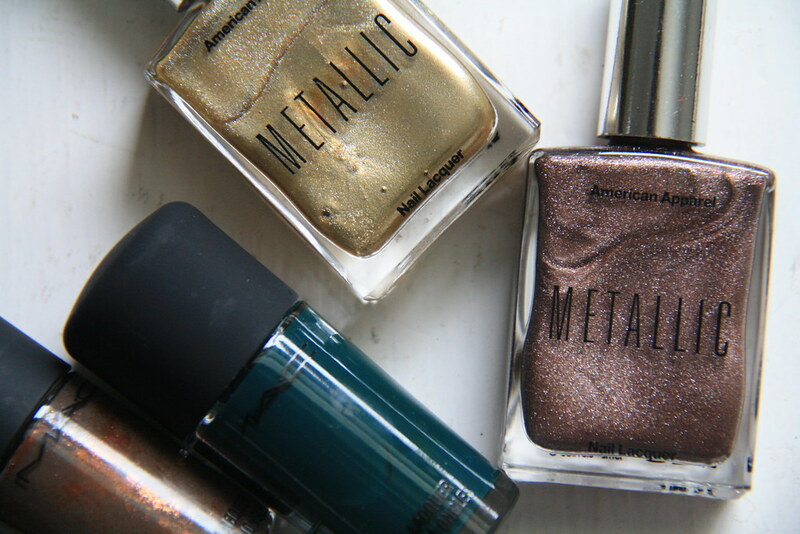 The holidays seem like the best time to bust out metallics and a tame amount of glitter, so I've been preparing lately - stocking up on a few things I've been coveting and some good thrifted finds from this weekend. 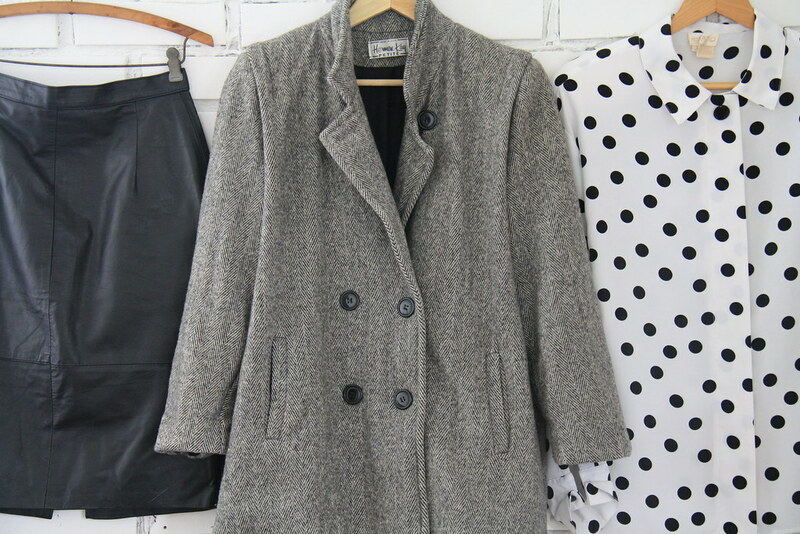 The vintage leather skirt and polka dot blouse will probably hit the shop next week as a part of my holiday lookbook, but the wool swing coat is headed to my closet. I've wanted a loose, short swing coat for awhile now, and this one makes me feel like I actually have legs when I wear it. 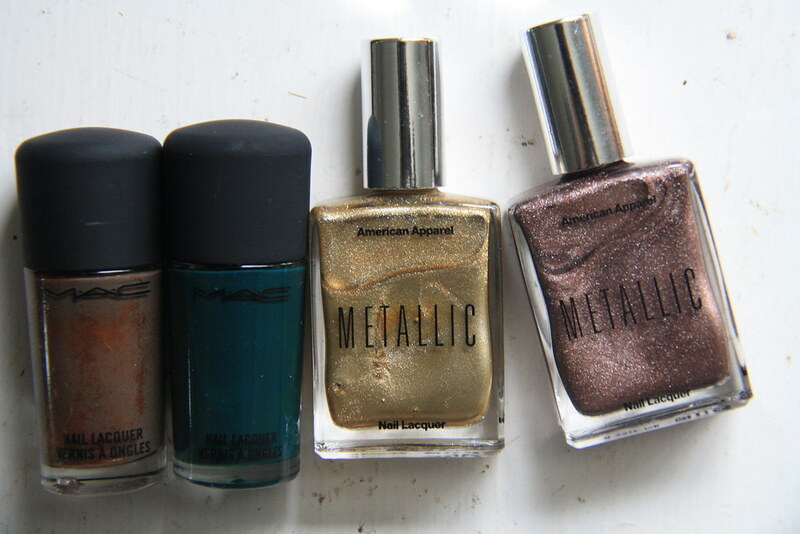 Have you guys seen the metallic American Apparel polish in stores? I love the silver one too, but our store doesn't have it yet - just the bronze and gold, which are equally cool. The other Mac polishes are from my sister (can't wait to wear the green! ), all perfect for the holidays. 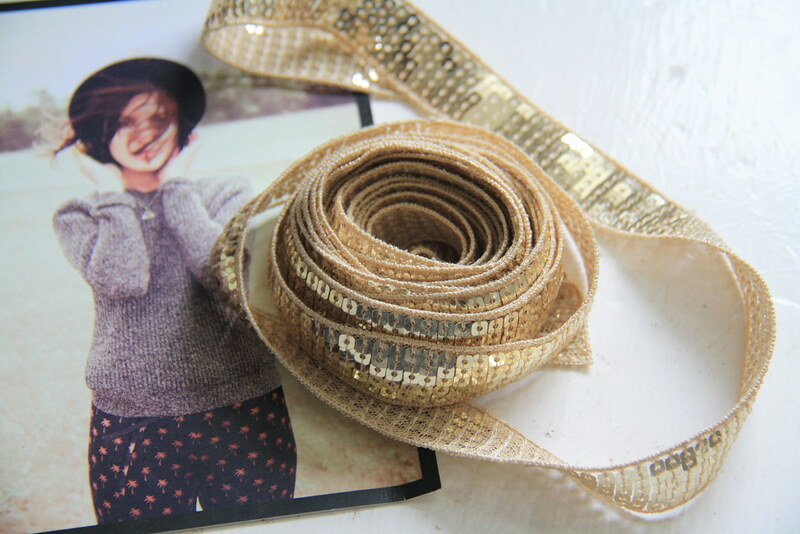 And the gold sequin ribbon is officially a sneak peak of a dress I'm working on for my holiday lookbook.. coupled with a shot of Alexa Chung from her latest Madewell collection. My sister bought me a gift card to Madewell for my birthday, still deciding how to use it (there are too many good things in that store). 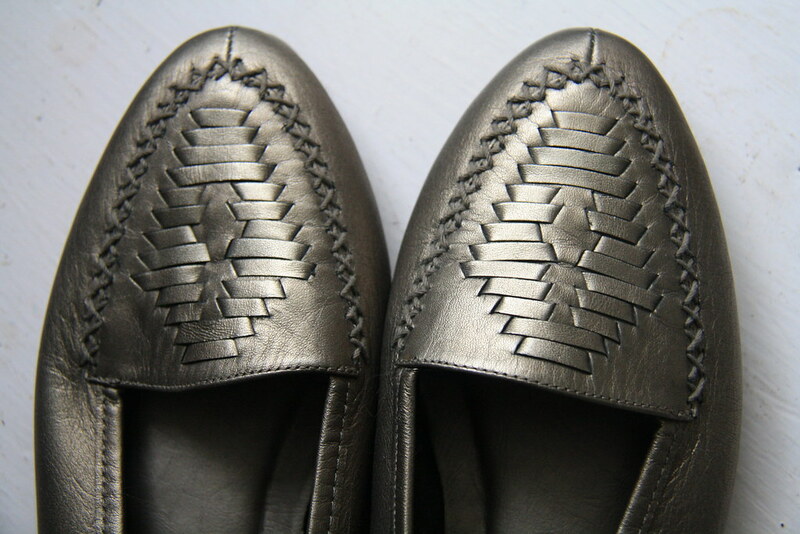 The metallic loafers are some thrifted flats I found shopping with Lauren yesterday, a two-dollar alternative to these leather ASOS creepers. I don't know what I was talking about when I said we only had a few more days of crazy before it calmed down again, because things are still crazy. But the best kind of crazy.. unpacking and settling in sort of crazy. Getting my sewing room ready so I can complete some orders and have Sewing Saturday posts again - finally - sort of crazy. Hope you had a great weekend!